And i get it. Black coats go with everything. They're fundamental. Topcoats, peacoats, puffers, duffles and parkas. But why not shake things up this Winter and go with something a little more bold? And I'm not talking camel or navy.... I mean green, red, purple, burgundy.... something with a little kick! You don't have to sacrifice function or form for color. "Purple Dahlia" is every bit as appropriate for the office as it is for the street. 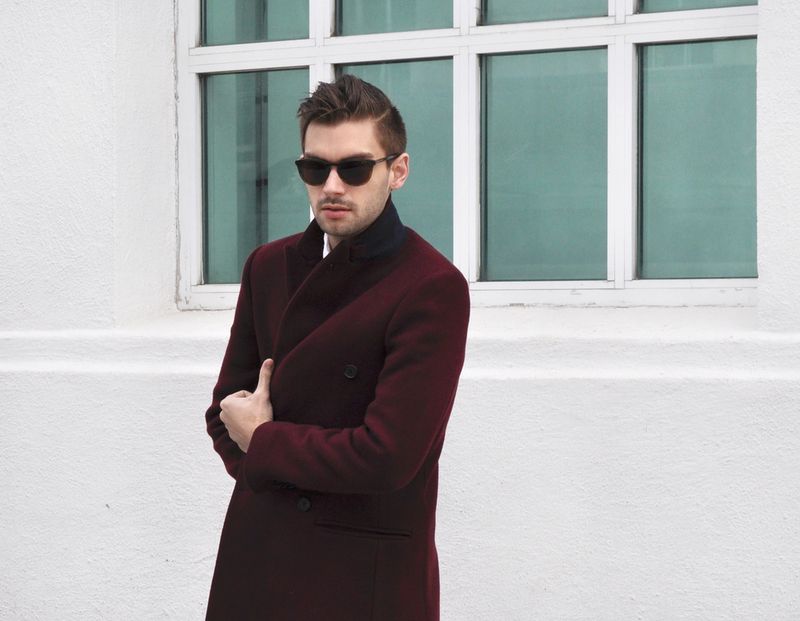 This Club Monaco double-breasted wool topcoat is everything you need this season. It's thick and warm, sleek and professional, and can be worn with a suit or a t-shirt and jeans. It's everything a black (or grey) topcoat would be but it's SO much more exciting. It's time to stand out in a sea of black coats.